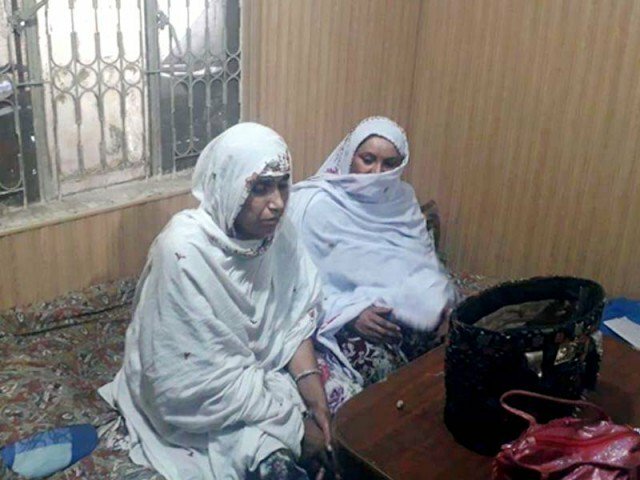 On interrogating, both women admitted their crime and revealed details of their methods. 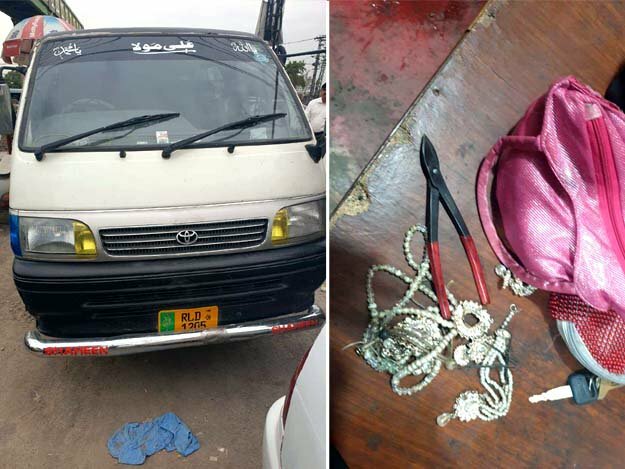 The suspects were later handed over to Naseerabad police station. Two wardens of Rawalpindi City Traffic Police on Friday risked their lives in arresting two female members of a gang involved in robbing travellers by impersonating as staff and passengers of a public van. The gang used to feed naive passengers sedatives and then rob them of their belongings on different public transport routes of the city. Both women used to pose as fellow travellers and on wining over their prey, proceeded to the crime. They used to throw away unconscious victims in deserted areas and flee to find a new prey. According to information gathered from the CTP, traffic wardens Nasir Ayub and Shiraz Khan were performing their duty at Peshawar Road when they signaled the suspects to stop earlier today. However, instead of slowing down the van, driver sped it up and tried to run over the wardens. Disregarding the danger to their lives, they chased down the criminals and compelled the driver to stop the vehicle. However, the driver escaped from the scene before Ayub and Khan could grab him. They revealed carrying out dozens of robberies in Rawalpindi, Islamabad, Peshawar and Lahore among other cities. They used to switch fake registration plates of the van before moving to new towns to mislead local police. Lauding heroics shown by Ayub and Khan, Chief Traffic Officer Muhammad bin Ashraf announced awarding cash prizes and certificates of achievement to both the traffic wardens.